This book presents the content of the GNVQ in a way that encourages students to explore engineering for themselves, developing the expertise and knowledge required at this level. As well as a clear and accessible text, emphasis is placed on learning through activities, and self-evaluation through frequent knowledge-checks. Practice questions are also provided, and will prove particularly helpful for externally assessed units.Much of this book is completely new - reflecting a major syllabus revision that has taken place. The inclusion of the key optional unit, Applied Science and Mathematics for Engineering, extends the book in a way that will really make it core reading for all Intermediate GNVQ students. 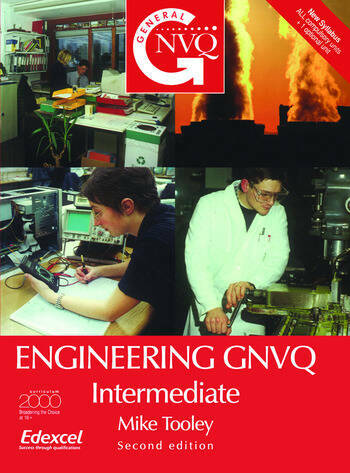 This book is the only text endorsed by Edexcel for Intermediate and Foundation engineering GNVQs. The content of the optional unit has also been designed to match City & Guilds requirements. Mike Tooley is former Vice Principal at Brooklands College, UK.